Visual Studio Code>Other>SCSS Scope HelperNew to Visual Studio Code? Get it now. A helper extension that adds helper comments next to a closing bracket in SCSS code with the name of the rule to which it belongs. 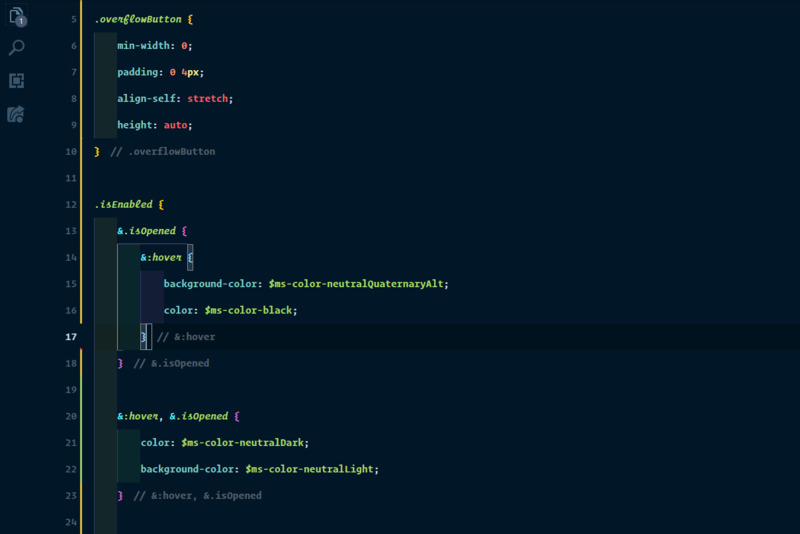 This extension is based on VSCode decorations. Extensions like GitLens use this feature, meaning that this extension may override some of them. To temporarily hide helpers from this extension use the SCSS Scope Helper: Hide temporarily command, and SCSS Scope Helper: Show to revert.